Date Me | Mac App Storeのアプリ検索・ランキング BuzzMac! 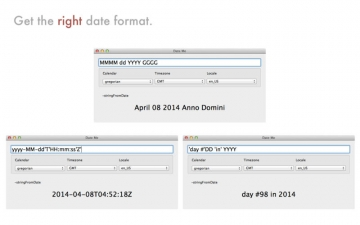 Date Me helps iOS and OS X developers work with dates. Test out your date formatter before shipping your applications. Change the inputs and see your date formatter in various timezones and locales. LeBig_Mac (Маrc Laporte 🇨🇦)RT @Kyle_Bauer: I’m getting the date Ken Holland steps down as general manager tattooed on me. I’m serious.